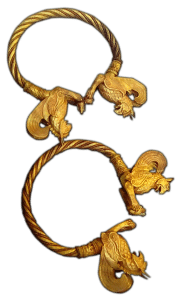 Are the golden wreath, the bracelets with griffins and the torque, seized during an action of the prosecutor, General Directorate for fight with organized crime and State Agency for National Security, genuine? This become one of the most discussed topics in our country these days, after the media announced the capture of a criminal group trying to sell the wreath for two million euros. The assumption that gold objects may be fake, appeared after one of the accused claimed, that he had produced and aged them himself, in order to look authentic. It is obvious, that answering that question would be a key moment in the court hearings. But it is also important for the Bulgarian society as a whole – because of the scale of treasure hunting in Bulgaria, which is systematically destroying the material traces of our past. 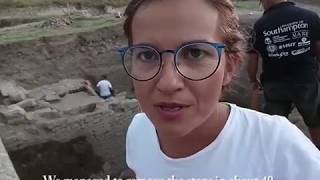 Creating an intolerance to this kind of criminal activity is also a cause of the team of Archaeologia Bulgarica – therefore we will also monitor this case. What do we know so far about the objects with a total weight of about 1500 g? 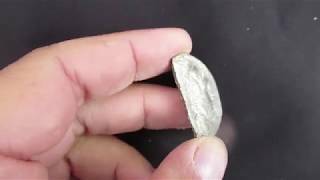 There is still no clear conclusion yet, more metal and manufacturing techniques expertise will follow. But according to the initial survey of the scientists – archaeologists and museum laboratory specialists, these are most likely early-Hellenistic rulers’ symbols, harvested in illegal excavations. 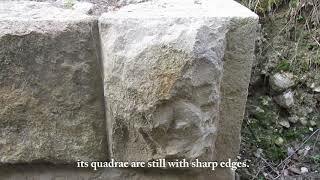 They are supposed to be found in a tomb of a Thracian dynast, buried in today’s southeastern Bulgaria about BC 300. 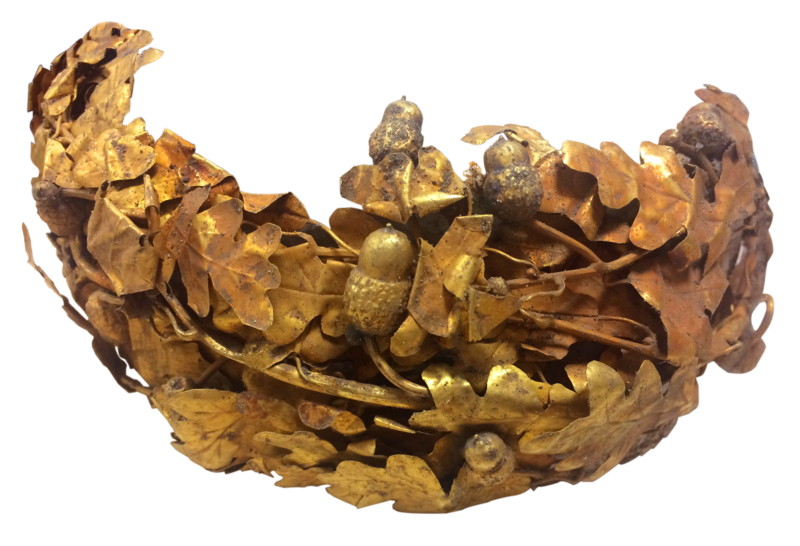 The stylistic analysis of the gold items points on Persian influence, which can be explained – it is possible that the Thracian aristocrat participated in the campaign of Alexander the Great against Persia. According to Diodorus Siculus, confirmed also by other sources, many Thracians participated in his army which departed in the spring of 334 BC. against Darius III. 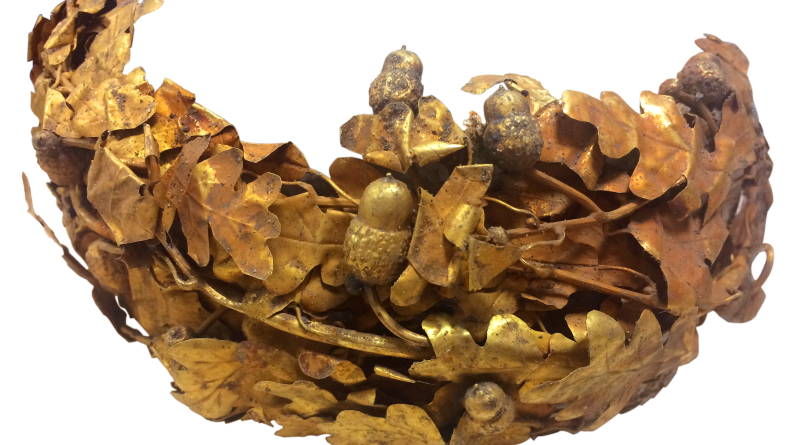 Unfortunately, even the authenticity of the golden oak wreath and the other artifacts can be clearly demonstrated, part of the information contained in them, will be lost irrevocably because of someone’s greed. But, undoubtedly, every victory in the battle with the treasure hunting deserves admiration. 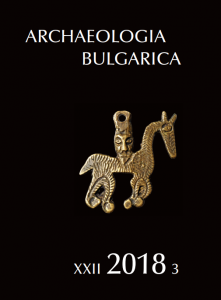 That is why on 6th of November 2018 at the National Archaeological Museum in Sofia an exhibition “The Saved Treasures of Bulgaria” will be opened. It is initiated by the National Archaeological Institute with Museum at the Bulgarian Academy of Sciences, supported by the Ministry of Interior, by the Ministry of Culture and 18 other museums all over the country. The exhibition will show more than 300 selected archaeological finds from the second half of the 5th millenium BC to the 18th C AD, illegally harvested and seized by the Bulgarian police for the last 20 years. A richly illustrated catalog of valuable artifacts will be published.